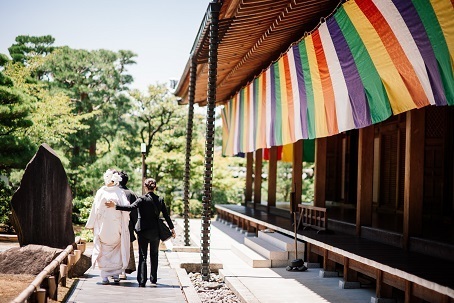 I learned about the “Shukubou Taiken (Temple Lodging)” at “Chishaku-in” when I assisted my client couple’s wedding there last year. And one year later, I could join “Shukubou Taiken” finally. 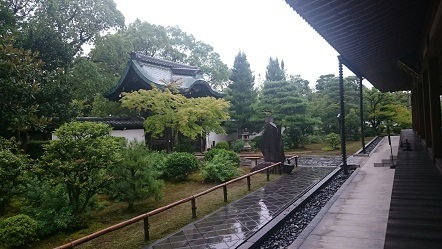 When I visited the place, I recalled many scenes from a year ago; the couple walking with “Goshiki-maku (five colored curtain)” in their back, purple bellflowers and even the conversation we had. The memories came up one after another like I was watching a flip-book. And this experience made my holiday very happy one. 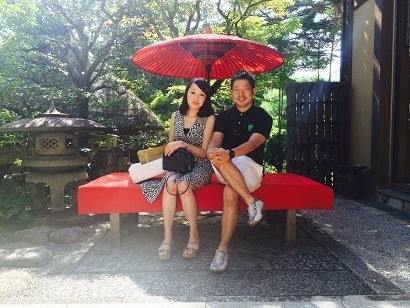 Last weekend, the couple visited “Chishaku-in” and Saami ryoutei restaurant to celebrate their first wedding anniversary. I was happy to see them spending wonderful time talking about their wedding with their family. Congratulations on the first anniversary! !